John Pemberton was born in Philadelphia on 10th August, 1814. He graduated from the U.S. Military Academy at West Point in 1837. He joined the United States Army and saw action in the Seminole War and the Mexican War. 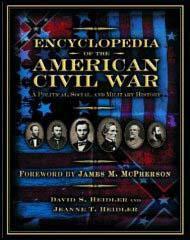 On the outbreak of the American Civil War Johnson resigned from the US Army and on 28th April, 1861, was commissioned as a lieutenant colonel in the Confederate Army. Pemberton was given the task of organizing the cavalry and artillery in Virginia. On 17th June, 1861, he was promoted to brigadier general. In February, 1862, Pemberton was appointed major general in command of South Carolina, Georgia and Florida. 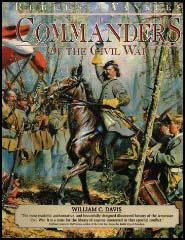 Six months later he was made lieutenant general and given command over Mississippi and Tennessee. 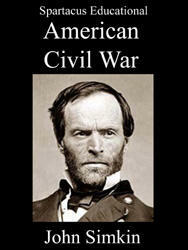 In the summer of 1863 Pemberton was instructed by President Jefferson Davis to hold Vicksburg. The commander of Confederate forces along the Mississippi, Joseph E. Johnston advised Pemberton to evacuate the city but was over-ruled by Davis. Surrounded by General Ulysses S. Grant and the Union Army, Pemberton held out until a shortage of food and ammunition forced him to surrender on 4th July, 1863. Pemberton achieved his freedom when he was exchanged for Union Army soldiers. On being exchanged, he resigned his commission as lieutenant general and served as an ordnance inspector for the rest of the conflict. After the American Civil War Pemberton farmed in Warrenton, Virginia. In 1876 John Pemberton moved to Philadelphia where he died on 13th July, 1881. Unless the siege of Vicksburg is raised, or supplies are thrown in, it will be necessary very shortly to evacuate the place. I see no prosoect of the former, and there are too many great, if not insuperable obstacles in the way of the latter. On 3rd July, 1863, about ten o'clock a.m. white flags appeared on a portion of the rebel works. It was a glorious sight to officers and soldiers on the line where these white flags were visible, and the news spread to all parts of the command. The troops felt that their long and weary marches, hard fighting, ceaseless watching by night and day, in a hot climate, exposure to all sorts of weather, to diseases and, worst of all, to the gibes of many Northern papers that came to them saying all their suffering was in vain, that Vicksburg would never be taken, were at last at an end and the Union sure to be saved. At three o'clock Pemberton appeared at the point suggested in my verbal message. Our place of meeting was on a hillside within a few hundred feet of the rebel lines. Pemberton and I had served in the same division during part of the Mexican War. I knew him very well therefore, and greeted him as an old acquaintance.